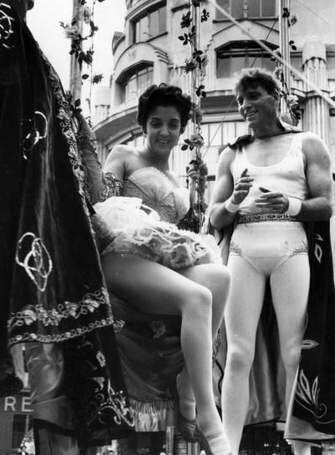 Gina Lollobrigida & Burt Lancaster on the set of Trapeze. Gina Lollobrigida & Burt Lancaster on the set of Trapeze. Wallpaper and background images in the phim cổ điển club.